I'm considering dropping HAC2 in the 1.0 release of Chimera. 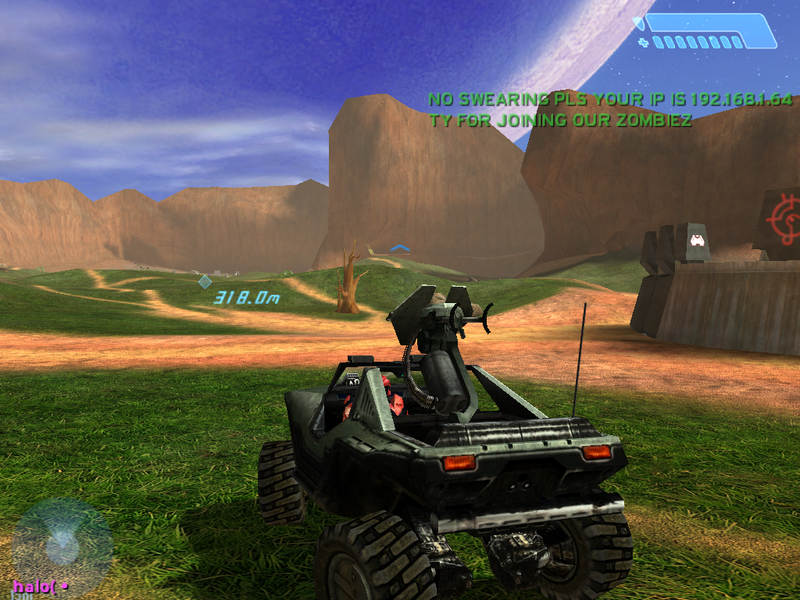 In the past, I've received numerous complaints about people's HUDs looking wrong when using Chimera's widescreen fix while having HAC2 installed. It was that reason why I made the full widescreen fix unavailable when these mods are detected. Some people were not happy with this decision, but unfortunately, I had to do it. In the 1.0 test builds, this restriction was removed. Since I'm considering ceasing support of HAC2 in the 1.0 release of Chimera, I'm probably going to be removing this restriction for good. I will NOT try to fix it. I will instead tell you to either uninstall HAC2 or Chimera. If and when I do decide to formally drop HAC2 support, I will make a more detailed post. What compression algorithm are you using? What compression ratios can be achieved? Compression ratios vary from map to map. Generally, uncompressed data compresses better than compressed data. For example, model data and tag data generally compress better than DXT texture and OGG sound data with OGG sound data being the least compressible. For example, the Refined Campaign is a collection of 10 singleplayer maps. These maps, when combined, take up a large amount of data: 2.649 GiB. When compressed, they are reduced to 1.003 GiB, achieving a compression ratio of 35.27%. How are loading times impacted? Loading times vary depending on the size of the compressed map, but it more depends on the specifications of your PC. Faster storage and more CPU threads will drastically improve performance. Judging by the results of the recent poll, most people have at least four threads. How do I make a compressed map? 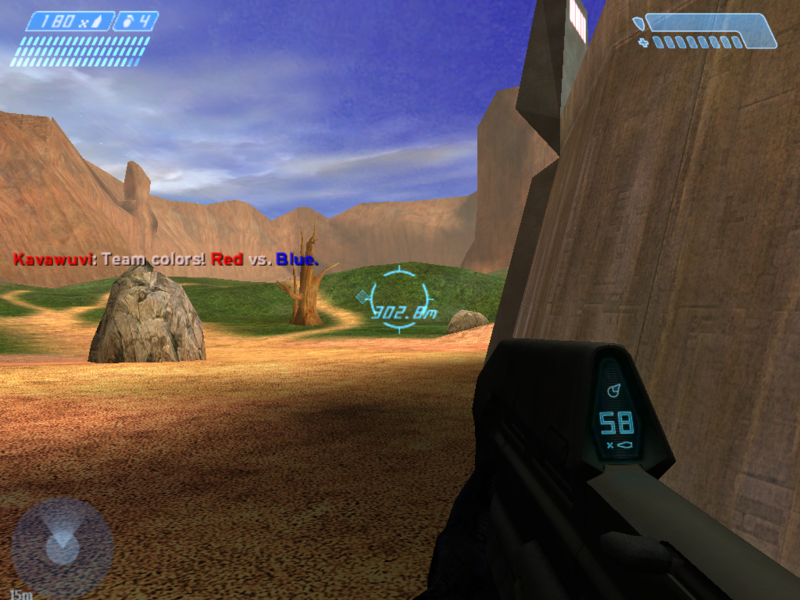 A tool is in development to turn existing Halo cache files into compressed files. Not all maps can be compressed, however. Maps compiled using os_tool, most protected maps, and maps with embedded Chimera scripts are examples of maps that cannot be compressed. How long does it take to compress a map? While LZMA decompression is fast, LZMA compression is much slower and can be fairly memory-intensive. Compressing Refined's d40.map took 20.591 seconds with RAM usage of around 4 GiB. Reducing RAM usage without affecting the output file is possible, but it requires limiting the thread count, further increasing compression time. Can compressed maps be used with Refinery? Currently, no. The tool that compresses maps can decompress maps, but those maps will still not work with Refinery. Making it work would most likely be trivial, however, if anyone is up to the task. Does it use LZMA or LZMA2? LZMA2 is not actually a compression algorithm but a container format that can use LZMA. However, if you were to strip the cache file header and the table of blocks from a compressed map, then it could possibly be decompressed using tools like xz. Does it compress in blocks or is it one stream of data? That depends on the uncompressed size. Generally, smaller blocks result in a worse compression ratio. If the uncompressed size is less than 8 MiB, then it will not do it in blocks. There isn't any significant performance benefit to separating such small files into blocks, while doing so would result in worse compression ratios. If anyone has any more questions, feel free to ask them here. - It is difficult to use Open Sauce on Linux with Wine, and this makes it difficult for me to develop Chimera while testing Open Sauce. - Chimera's widescreen mod and Open Sauce's widescreen mod do not play well, and I'd rather not upset people by disabling the widescreen mod if Open Sauce is detected. - Open Sauce has a map downloader, and I absolutely do not want to make a workaround to support it while still having my own map downloader. - Chimera's map downloader does not support Open Sauce maps, anyway, and I have no way of knowing if the server is hosting such a map. Essentially, this means that Chimera's features will not care if Open Sauce is installed. However, like HAC2, if you encounter any problems, I won't try to fix it and will tell you to uninstall Open Sauce or Chimera, instead. I have decided that Chimera version 1.0 will be released under General Public License version 3 or later. It is my opinion that making a mod closed source and never releasing the source code to it is hypocritical and detrimental to the modding community, and that kind of content has no place here. Here is another table. This one is for the entire Refined campaign. On average, compression ratio is under 40%. This reduces the total size of the Refined campaign on disk from around 2.65 GiB to around 1 GiB. Decompression on 8+ threads provides the best decompression times. It is worth noting that times and scaling can be improved further, but it will come at the cost of compression ratio. Even on CPUs that don't have 8 physical cores but have at least 8 threads (e.g. desktop Intel Core i7 CPUs, Ryzen 5 CPUs, etc. ), SMT/HT can still provide improved throughput. Decompression on 4 threads provides worse (longer) decompression times compared to 8+ threads. CPUs that are dual core but have four threads (e.g. pre-Cannon Lake Intel Core i3 CPUs, Kaby Lake and Cannon Lake Pentiums, etc.) will perform worse than true quad cores but may still get better times than those that have only two threads. Even when locked to 2 threads, decompression usually takes under 4 seconds. Note that PCs with CPUs that actually have only 2 threads will probably perform worse due to having low clock speeds, slow memory, etc. Also, the operating system may be doing tasks in the background, consuming CPU time. Working on a new custom chat. This is intended to eventually remove the dependency on the Keystone library that comes with the game. This library has issues working on Wine as well as some installations of Windows. First off, something that has been commonly requested is custom chat colors. Another problem of Halo is that there is no distinction between team chat or vehicle chat. Server messages can also be pretty annoying. This moves them out of the way so they don't clutter up the chat and, soon, your console. Lastly, chat messages are animated. This looks better, and it makes it easier to follow along with the chat. I've sped up master server listing by a lot. If you want to view progress on this mod, I have a Google Sheets page that you can look at. View the Stats sheet to see completion as a percentage and when builds will come out. Watch out for when this hits 85%, as I'll start posting builds for people to test. Because I like to play favorites, Open Carnage will be the first place to receive builds.